Desirable south-facing corner loft at the coveted Jade Condominium!6-E is a 904 square foot one bedroom, one bathroom home with an additional home office. 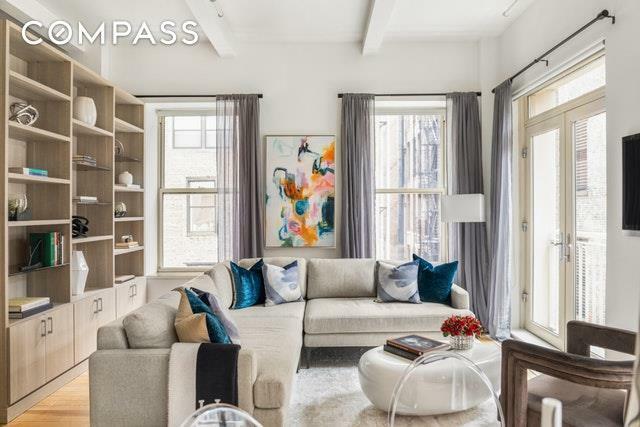 Accentuated by soaring, 11' ceilings, this loft benefits from rare southern and eastern light. The home was designed by Jade Jagger, conceptualized around a central "pod," housing the master bathroom and kitchen. The kitchen boasts high-end Miele appliances, and the bathroom a large stall shower. 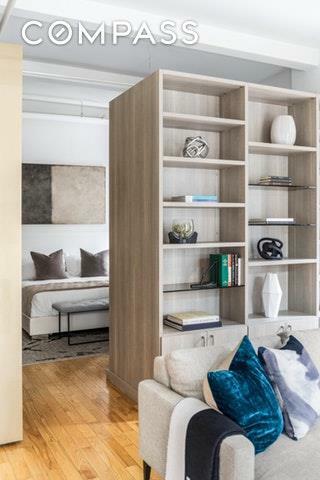 The pod concept allows for maximal use of the living space, ideal for such a central downtown residence.The bedroom exposes east and is large enough for a king bed as well as nightstands, and the owner has customized it with ample California Closets for storage. The south-facing living/dining room is enormous and lofty, and the owner has built in a separate home office which can easily double as a guest room or nursery. Juliet balconies along the southern side of the living area are a stunning way to open up the apartment even more. Central air and a two-in-one washer/dryer add to the convenience of this well-priced desirable loft. 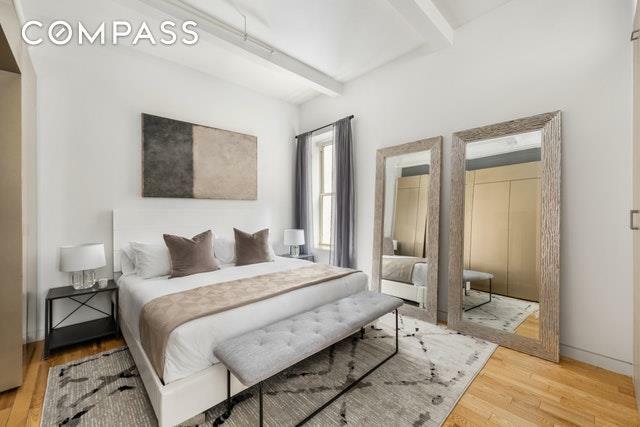 The Jade, a prewar conversion built in 1906 and converted in 2006, is a full-service boutique condominium with 24-hour doorman, stunning rooftop deck, fitness center, resident's lounge, and superintendent. The building is located in the heart of Manhattan's Flatiron District, a stone's throw away from world-class shopping, fitness, restaurants, and parks. 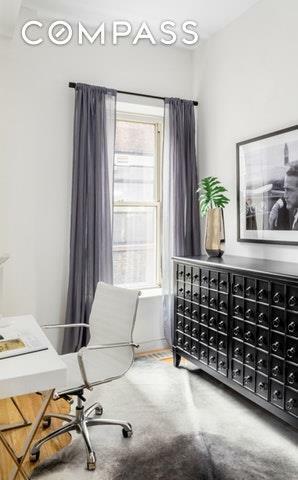 Listing courtesy of Philip Scheinfeld of Compass.